Christmas period is full of events and happenings in Madrid, and the busiest time of year in the city. During the Christmas period in Madrid there will be many Christmas markets. The largest ones are held on Plaza Mayor and Plaza de España. 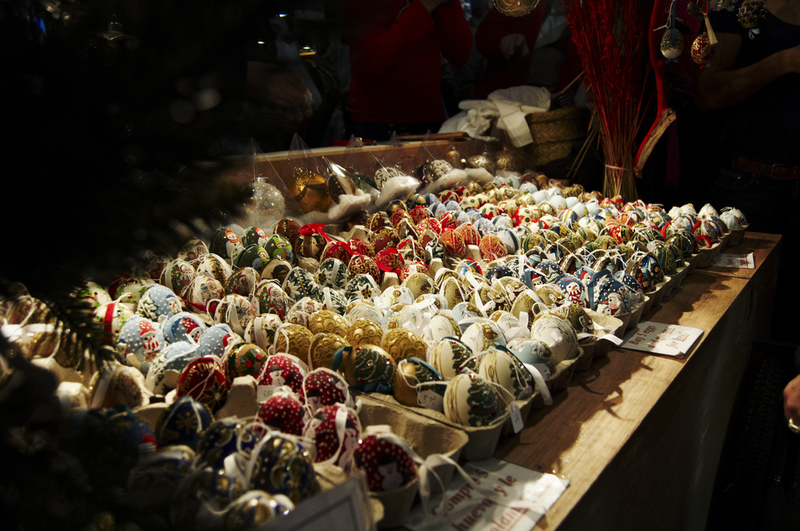 The biggest and most important Christmas market is held on Plaza Mayor in the centre of Madrid. From this market you will find everything you need: Christmas decorations, food, traditional Christmas products, and crafts. Christmas market on Plaza Mayor is going on from 26th of November until 31st of December, and it’s open from Mondays to Fridays from 10 am to 9 pm, Saturdays and Sundays from 10 am to 10 pm. This market is concentrated on artisanal and handmade crafts, and it’s also known as the Community of Madrid Craft Fair. It’s famous for the quality of the products. From the market you will find different kind of pottery, leather work, manufactures of toys, and much more. Plaza de España’s Christmas market will be open from 10th of December to 5th of January. Daily opening hours are from 11 am to 9 pm. On the other squares around Madrid will be smaller Christmas markets and shopping possibilities. Have a look on Gran Vía, Callao, Plaza Opera, Puerta del Sol and Plaza Jacinto Benavente. The Christmas lights in Madrid will be turned on in late November, and their shine will brighten the streets and squares up until early January. This year the lights have been designed by a group of fashion designers, architects, and a graphic designer. Have a special look on Puerta de Alcalá gate and Palacio de Cibeles. Christmas trees and artworks will be put up on all strategic points around the city. Some of the Christmas trees have traditionally been built so you can even explore them from inside! One way to see and enjoy the Christmas lights of Madrid is to hop on the Christmas bus. The bus travels along the main streets of Madrid for 40 to 50 minutes, and during the tour you will see all the most beautiful Christmas lights. The route has only one stop on Plaza de Colón, and it’s the only place to hop on and off the bus. The Christmas bus is operating from beginning of December until 6th of January. During the Christmas period in Madrid many of the squares are turned into ice-skating rinks, or markets. Check out Plaza de Jacinto Benavente, Plaza de Santa Cruz, and Plaza de España. Epiphany day and the celebration of the Three Kings is 6th of January. This is the most important day of Spanish Christmas. 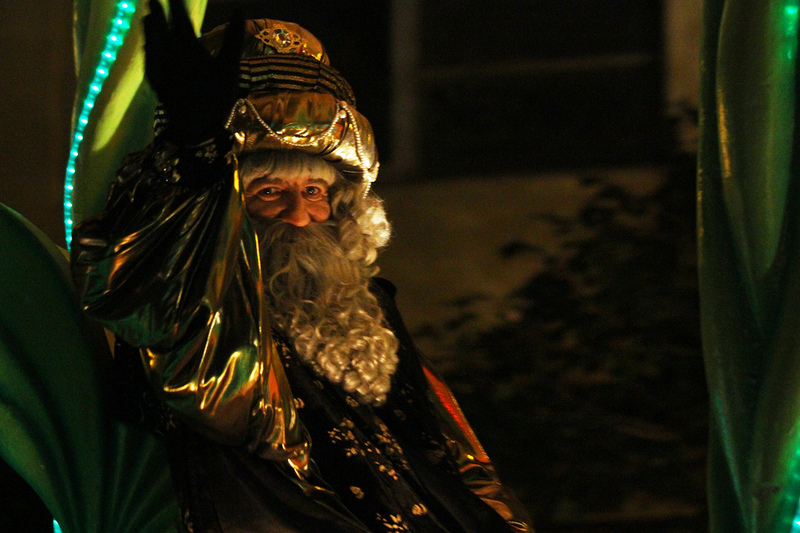 The Three Kings Day is celebrated with a big parade trough the city. The parade starts at 6.30 pm from Plaza de San Juan de la Cruz, and continues to Paseo de la Castellana, and from there to Plaza de Cibeles. At Plaza de Cibeles the Three Kings will deliver a message to all Spanish children. In the evening of the Three Kings Day is a tradition to eat a dessert called Roscón de Reyes. In Madrid there will be many Nativity Scenes around the city. Here are listed the biggest ones. At Museo de Historia of Madrid is going to be a Nativity Scene from 9th December until 1st of February. This year they are presenting a Neapolitan crib from the 18th century. It is one of the most valuable sculptural ensembles from collection of the Museo de Historia. At CentroCentro Cibeles will be presented a Nativity Scene made by craftsman José Luis Mayo. The exhibition is open from 27th November until 10th of January. At the city hall of Madrid will be a Nativity Scene from 8th of December until 10th of January. The Museo de Los Orígenes de Madrid presents a magnificent Nativity Scene called “Melchor, Gaspar and Baltasar. The Three Wise Men in the 19th Century”. It is a work from sculptor Donémenc Talar i Ribot, and polychromed by Mariano Fortuny i Marsal. This is a sweet pastry and traditionally eaten as a dessert in the evening of Three Kings Day. In the cake is usually baked a green bean, and a tiny figure of the king. The one who gets the bean is supposed to pay for the dinner, and the one with the figure can use a crown for the last of the evening. A recipe for Roscón de Reyes here. Turrónes are popular Spanish sweets, and traditionally made of nougat. These days there are many different kinds of flavors. If you want to taste homemade Turrónes, you can try this recipe. 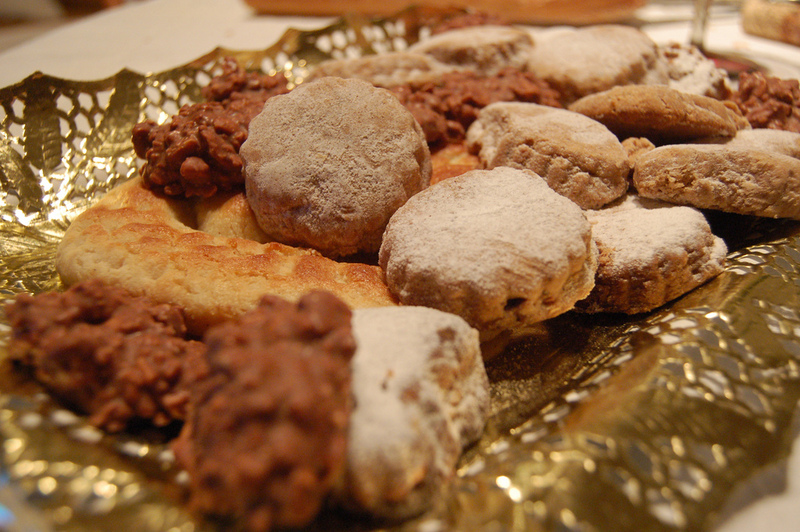 Mantecados and Polvorones are oven-baked cookies, and traditionally made of almonds. The cookies are crumbly, and the texture is soft. Recipes for the Mantecados and Polvorones here. The most famous tradition on New Year’s Eve is to eat 12 grapes when the clock chimes twelve times on the midnight. This is said to be bringing good luck. Thousands of people gets together to Puerta del Sol square to celebrate the New Year and eat the grapes. New Year’s night is long, and Madrid really doesn’t go to sleep in any point. People, music, and merrymakers are on the streets until the morning. San Silvestre Vallecana is a traditional sports event. It has been organized in Madrid every New Year’s Eve since 1964. It is a 10 kilometers race, and fancy dresses and artificial snow plays a big role in it. Earlier in the afternoon is the amateur race, and after that is a competition for professional athletes. If you want to join the race, be sure you sign up early. The places run out fast!